This comprehensive article answers all your questions and covers the health and safety issues encountered by a Dj and anyone who has ever attended a disco or event where music was being played. The problems can be serious. In 1976 when I first started to Dj health and safety was a bit of an unknown quantity. Over the years with the Americanisation of the UK and the rise of no win no fee lawyers, health and safety has become a greater issue for everyone. The biggest risks as a Dj and as a customer at a disco are probably sound levels in excess of 85Db or decibels. Surprisingly the sound behind a Dj’s set of decks can be quite loud even though they are behind the speakers. The sound usually consists of a low frequency rumble with very high sound pressure levels. Lots of Djs now routinely wear ear plugs to reduce the level of sound in their ears. This however can cause a problem as they can’t hear how loud the music is for the customers. When I do discos I routinely set a level by looking at the led meters and only go to a certain level as set without ear plugs in. 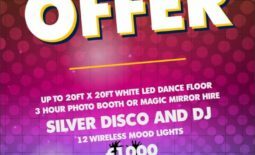 Strangely the loudest sound at a disco that you’ll hear is when a customer shouts their requests in your ear, as they overcompensate for not hearing themselves over the music. This can be very painful. 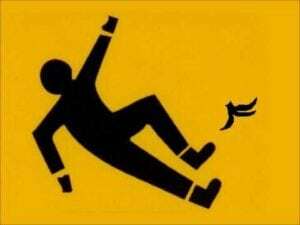 Slip trip and fall hazards. Discos either in clubs or mobile are a haven for slip trip and fall hazards as often the light levels are lower so it’s harder to see, floors are slippery due to spilt alcohol and people are unsteady on their feet due to the effects of alcohol. Another more recent hazard is girls wearing ridiculously high heels that are quite frankly dangerous and on slippery floors are even worse. One of the other big issues at clubs and mobile discos is customers bringing drinks onto the dance floor and spilling them or worse still dropping their glass causing both glass fragments and liquid to contaminate the floor. The worst case of this I ever saw resulted in a young lady slipping on a wet floor and landing on a piece of broken glass. The result was a trip to hospital and her night out ruined. One of the biggest slip trip and fall issues facing Djs is leaving a venue late at night and taking equipment down stairs which can be slippery or wooden decking which can be like a skating rink. Often hotels don’t provide lighting for access paths to their function room. In my 42 years as a Dj this has been a constant problem. I now take a torch or lighting to all events for this reason. From a Djs point of view we are always on the lookout for drunk customers staggering towards our delicate equipment. The favourite thing customers love to do is lean over the front of the Dj console with a drink in their hand over the laptop or mixer or other expensive electrical equipment. This is probably the one thing that annoys Djs most, as one slip or nudge from someone else and the equipment is destroyed and the night ruined. I recently redesigned my Dj console with a splash guard that prevents this. 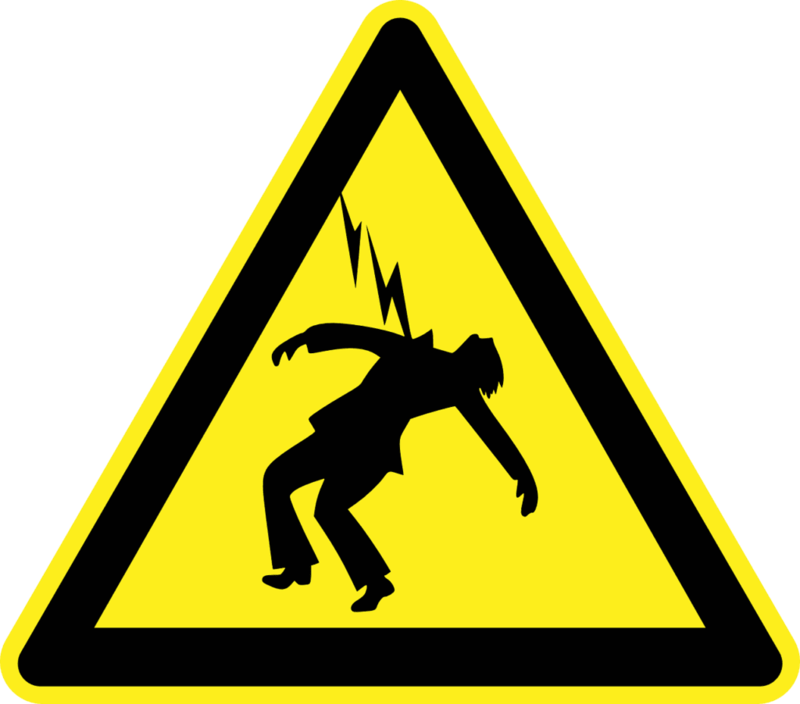 Apart from the obvious risk to equipment there is a potential risk of electric shock to the customer. This would particularly be a risk in older venues without a RCD (residual current device). As a responsible Dj I’ve always used an RCD and believe they are a life saver. When setting up a disco I set up my equipment in what I call a defensive way. My stand is attached to my speakers which also holds my lights and I’ve modified my stand giving it an extra set of legs and made it deeper so it’s less likely to be pulled or pushed over. I don’t like tripods as I think they are fairly unstable and I think too big a risk when you have drunk people around you. If someone falls into a tripod it will usually fall over and if holding a heavy speaker of 20-40 Kilos this becomes a serious risk to whoever it lands on. As a Dj you always watch out for people dancing too close to your equipment for this reason. When I first started to Dj in 1976 I bought a very high power strobe light called a white lightning. It was very bright and was very popular back in the 70’s and 80’s but I witnessed three people having epileptic seizures as a result. One of these three had never suffered from an epileptic fit until that day. High power strobes are not so popular nowadays as most led lights have a strobe type effect built into them. These are not so bright and I’ve not had anyone have an epileptic fit since the early 80’s. 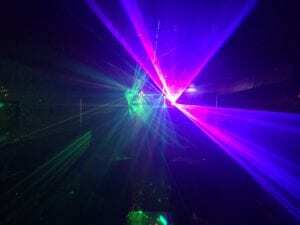 Laser safety is a greater concern as many Djs ignore the common sense rules of laser safety. A laser should be placed overhead on a gantry or pole as this stops anyone looking directly into the laser from close range which is hazardous. A laser should never be a single stationary beam directed at the audience. This would exceed maximum permissible exposure. The regulation of lasers and where to find useful information in the UK is very limited. Even the government website only has general terms and no meaningful advice. Audience scanning with high power lasers should be avoided at all costs. I think it would be helpful to have a do’s and don’t list for lasers for disco use and for all other sectors. I looked at the American regulations and use them as my advice as they were far clearer. Another risk at discos is of course crowd violence, usually fuelled by alcohol. This can happen at any event from a private party to a wedding but more usually at a public event where the crowd haven’t been invited. Pyrotechnics and special effects risks. 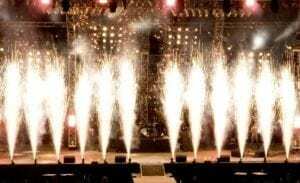 Probably the most dangerous item a Dj can use are pyrotechnics which can cause bodily injury due to the explosive effect or burns. Thunderflash are the safest ones but effects like silver star contain small particles which are extremely hot and can cause serious burns. Bubble machines and bubble wands can also cause floors to become extra slippery and increase the risk of slip injuries. 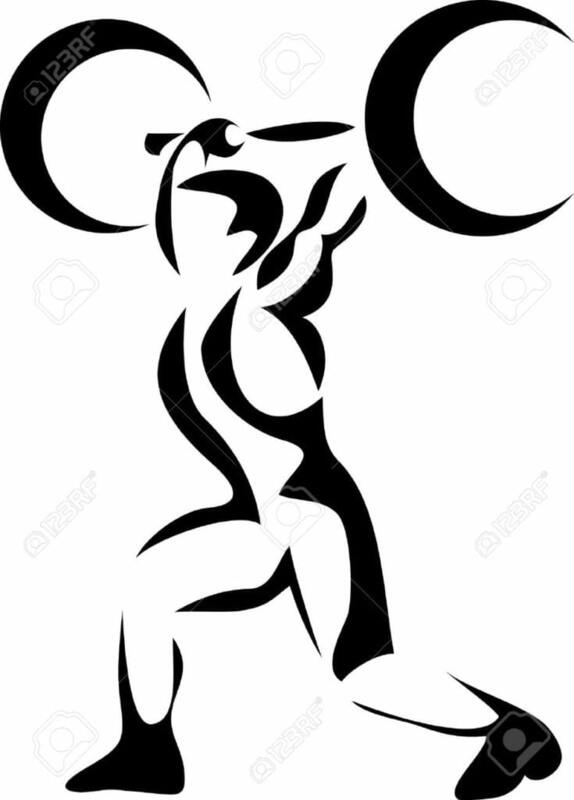 Most Djs who have been in the business for a long time suffer from some sort of back, knee and other joint problems. We routinely lift heavy items particularly speakers on our own. The practicalities and financial implications of our job mean we can’t employ someone else to assist us. 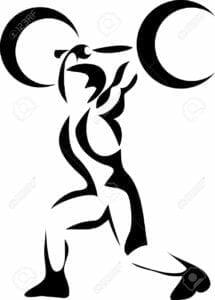 Using correct lifting procedure and techniques is extremely important and lifting with a straight back and bending your knees is paramount. Trolleys like Rock N Roller or sack barrows are useful for taking equipment on flat surfaces but useless when dealing with stairs. Many older Djs now pick and choose which venues they go to nowadays. Any venues involving stairs or a long walk are blacklisted. Thankfully nowadays we have a smoking ban in licensed premises which was a huge issue when I was a younger Dj. After 30 years of passive smoking at the weekend I do suffer from lung problems. Gone are the days of stinky clothes after a night at work. I think it goes without saying that alcohol should be forbidden for anyone that’s working. Bar staff are not allowed to drink on duty or be intoxicated. However some Djs need to have a drink in order to perform. 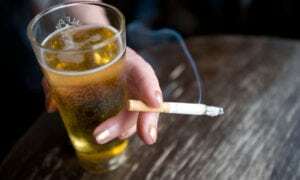 I personally don’t ever drink alcohol when I’m working and don’t even drink Diet Coke or any other soft drinks due to the health issues they can cause. Sugar laden soft drinks encourage obesity and diet drinks containing aspartame are toxic. For me it’s just water these days and even that contains chlorine, Fluoride etc. As Djs we use lots of electrical equipment. Both lighting and sound equipment runs predominantly on 240 volts and requires an annual PAT (portable appliance test) which tests for electrical safety. This however only guarantees that on the date of testing that the item was electrically safe. As a responsible Dj you should always check cables for cuts and never use any equipment that rattles due to a component being loose inside. 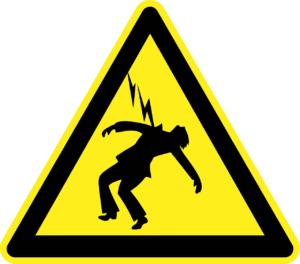 Basic visual inspections of your equipment will avoid most electric shock risks. The inclusion of at least one but preferably two RCD’s on your equipment with one being used on your sound equipment and the second being used on your lighting equipment is good practice. So in summary being a Dj exposes you to many different health hazards and it’s how well you manage these risks that matters. Please feel free to link to this article as it could help save someone from a whole lot of trouble and possible injury. Engagement Party British Legion Club Workington. 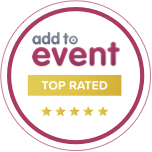 Wedding and party playlists and mobile Djs.